The laboratory accommodates 2 to 5 graduate students conducting research. If you are a prospective graduate student, please contact Dr. Howeth with a statement of your research interests, research experience, and qualifications (CV, transcripts, and GRE scores if available). I anticipate having an opening for one or two doctoral students beginning in 2018. 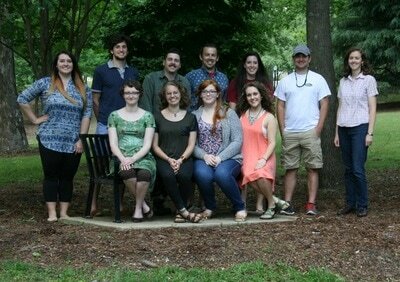 See departmental link for information about applying to the Graduate Program (Ecology, Evolution, and Systematics track) in Biological Sciences. Graduate students are supported on teaching assistantships, research assistantships, and university fellowships. Students are also encouraged to apply for competitive national fellowships for graduate support (e.g., EPA Star, NSF GRF). Students in the lab conduct research on various aspects of community ecology, landscape ecology, and invasion biology. 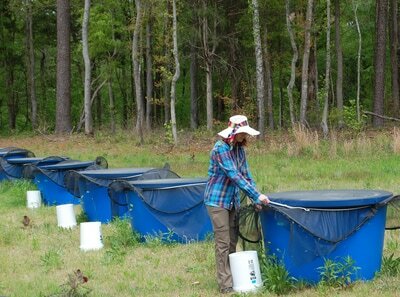 Field sites for observational work include beaver ponds and associated streams in the Talladega National Forest AL and reservoirs in the southwestern and southeastern US. Opportunities for experimental research are available at the UA Tanglewood Biological Station and on campus. 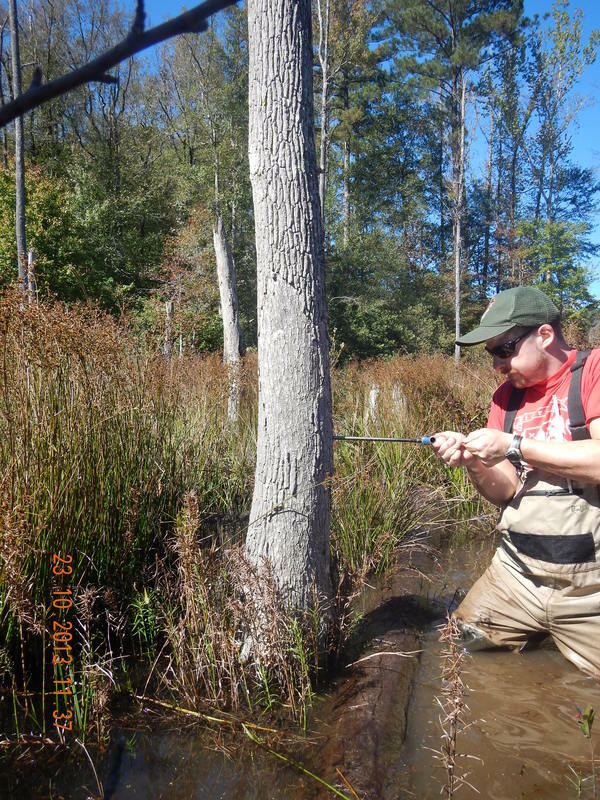 Successful graduate students in the lab are highly motivated individuals with a genuine and sustained interest in academic ecology research, and a strong work ethic. 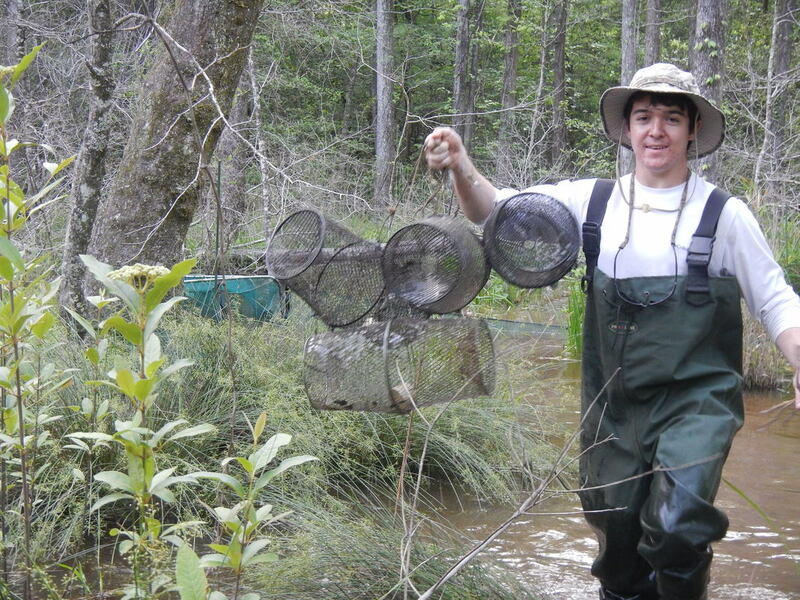 Given the nature of ecological research, students are required to conduct long hours in the lab and field, potentially travel for fieldwork, and participate in regional and national scientific conferences. 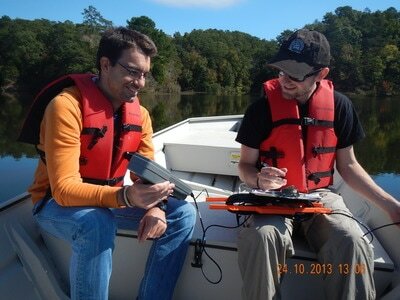 We work and play hard in the name of advancing science and the field of ecology! BSC 652 Community Ecology: a critical review of theoretical and empirical studies of diverse ecological communities (animal, microbial, plant) in a variety of ecosystems (freshwater, marine, terrestrial). 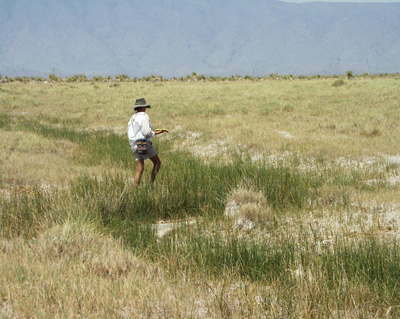 The first part of the course addresses basic principles of community ecology. The second part of the course assumes a working knowledge of basic ecological theory and addresses some of the topical questions and approaches in the discipline, including integrating community ecology into landscape ecology, conservation biology and evolutionary biology. Dr. Howeth teaches two undergraduate lecture courses, in addition to instructing undergraduate researchers in her laboratory (BSC 398). If you are an undergraduate interested in a research experience, please contact a member of the lab with a statement of your research interests (i.e., field, lab, computational) and how they might fit with your career goals. BSC 116 Principles of Biology II: A survey of organismal diversity, form, and function — including prokaryotes, fungi, plants, and animals. The overarching themes of the course are the ecological and evolutionary relationships among living things, emphasizing both the unique characteristics that different organisms possess and universal biological principles. The course is divided into three parts: I) Single-Celled Organisms, Fungi, and Plants; II) Animals; and III) Ecology. Principle of Biology II satisfies a core curriculum requirement for Biology Majors, and is the second semester of introductory biology. The prerequisite for the course is BSC 114 Principles of Biology I. The course typically enrolls 200 students. BSC 482/582 Conservation Biology: Application of the principles of ecology and evolutionary biology to the conservation and preservation of wild plant and animal species, and to the preservation, management, and restoration of natural ecosystems. The course emphasizes the scientific and biological aspects of contemporary threats to global biodiversity, including habitat fragmentation, invasive species, and climate change. The prerequisite for the course is BSC 385 Ecology and Evolution. The course is available to both undergraduate and graduate students, and enrolls approximately 80 students. The lab currently does not have a funded position available for a postdoctoral researcher. However, prospective applicants are encouraged to apply for competitive national (e.g., NSF, TNC Smith Conservation, etc.) and international fellowships to conduct research in the lab. Dr. Howeth is willing to help develop project ideas and provide some resources. Serious inquiries welcome.